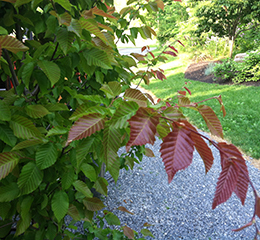 Rich summer foliage with a dash of reddish new growth. Fall colors of yellow, orange, red and burgundy. 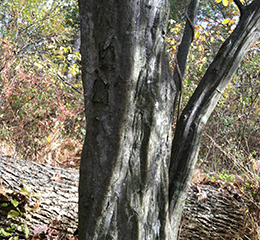 Fine textured structure with fluted trunk to add winter interest.This is a widespread understory tree native the eastern deciduous forest. Small, dapper and handsome tolerating both full sun and part shade. 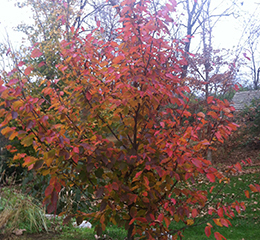 This tree is quite tolerant of compacted and clay soils and makes an excellent urban tree. Grows 25'-40' high. 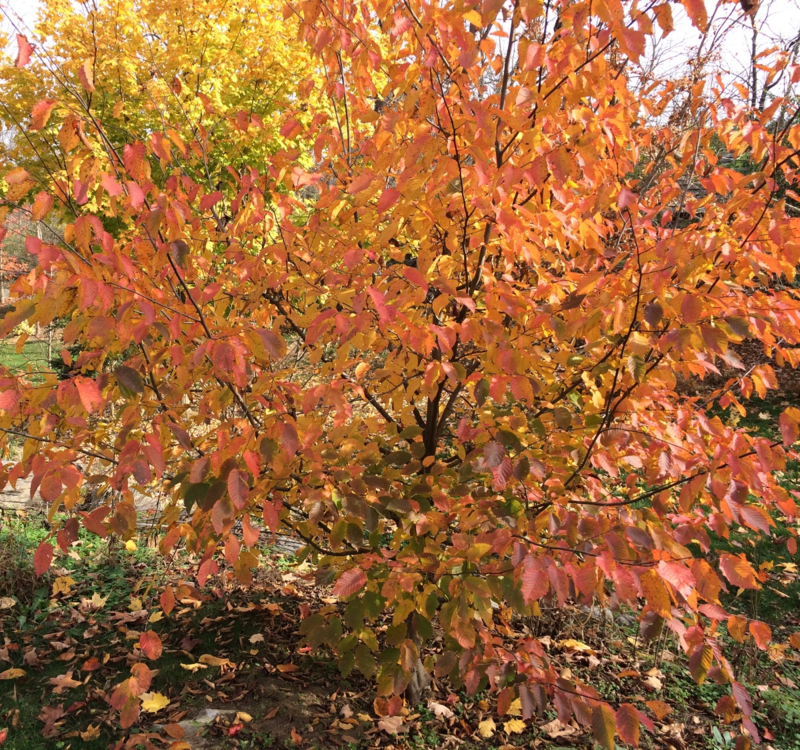 This is a versatile tree that can be used as a specimen in the front lawn of a small yard, a corner accent plant or an under story tree in a backyard. 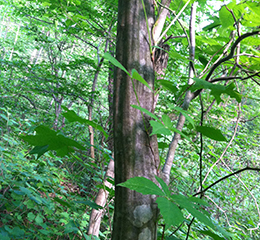 American Hornbeam is resistant to juglone and can be planted beneath Black Walnut. The leaves are marsescent holding a warm tan into the early part of winter.